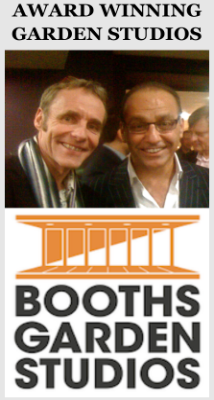 In today's guest post, York-based designer Steve Cowell explains how he went about becoming a self-build shedworker. 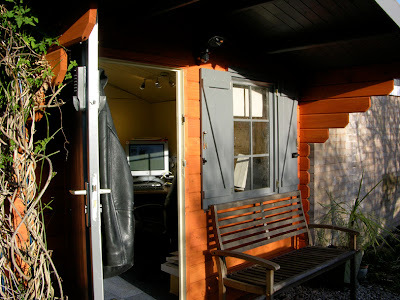 "Following many years paying rent in offices in the city centre I decided it was a good time to move into a garden office. Here's how I built my new studio. The building, a Finnlife Jarvi log cabin from B&Q, was delivered as a kind of huge flat pack project on a couple of pallets to the front of the house. 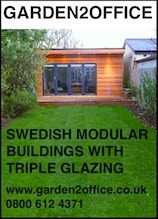 The cabin, as delivered, would be a perfectly serviceable building. 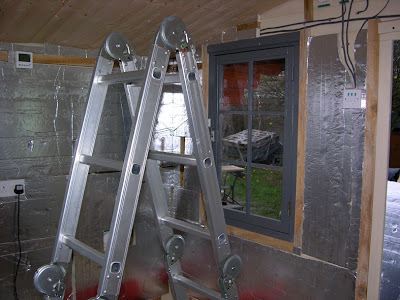 But, as it was to be my main office - all year round - I decided to add insulation and cladding to the inside of the building. If you decide to contact home improvement professionals, such as Ideal Construction, they can advise you on ways to further add onto and insulate your building. For example, you can put different types of siding on your building to make it more aesthetically pleasing, to make it more durable to the elements, or to perhaps make it last longer and be more reliable. There are plenty of professionals that are more than willing to answer questions like these that you may have about your new structure. "I paid a builder to lay down the reinforced concrete base, which also included a damp-proof membrane. But the rest of the build was single-handedly done by me. The process was very easy, as Finnlife had supplied very clear instructions on how to piece the 'jigsaw' together. The only thing that did slow me down a little was the decision to paint the elements, each with a couple of coats, prior to construction. Due to the lack of space compared to the number of components, this was done in batches. 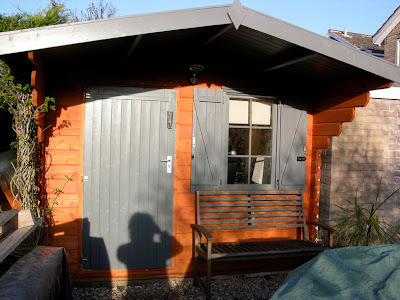 The main colour was a Cuprinol Golden Cedar garden wood preserver, with the doors, shutters and trim in Volcanic Ash Sadolin Superdec satin. I took my time putting the cabin together. 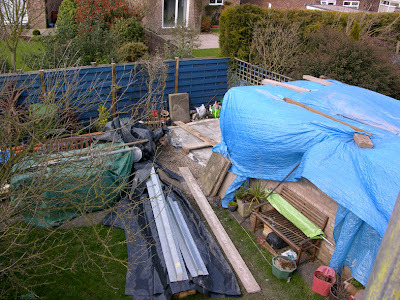 But reckon that, if I had wanted to do it all in one go, it could be done within a week. "The building comprises 28mm wooden beams for the walls, three hefty roof beams and lighter weight tongue and groove for the roof. The roof was then waterproofed using the shingles that came as part of the package. Inside, the floor was also tongue and groove - fastened to the floor beams. I had an electrician install a consumer box in the garage - and the light and socket power was taken from that box. I also strung external quality telephone wires from the house to take in extensions for my business line/broadband and the domestic phone. The lighting comprises two triple low energy halogen spot bars inside the studio, a dusk 'til dawn PIR spot on the outside and a couple of low energy bulkhead lights outside as well. "To insulate the studio I used 100mm Kingspan insulation (a foil backed high density foam) in the ceiling, and 25mm Kingspan on the walls. the Ceiling was then clad with tongue and groove, and the walls with 8mm MDF. 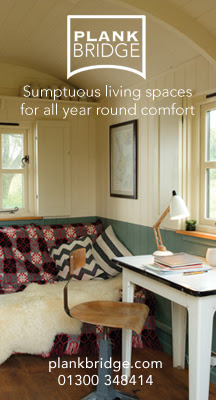 I painted the interior using Cuprinol Heritage Shades Country Cream. 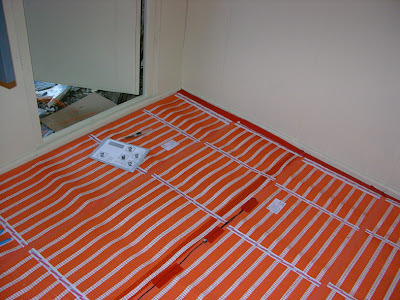 I installed electric underfloor heating from Albrite. And added a keypad security lock in addition to the deadlock on the door, a locking bolt on the shutters and a window lock. The Studio also has a wireless link to our home's alarm system. Finally I put down some blue carpet tiles fastened a coat hook to the door, and moved my office furniture and equipment in. 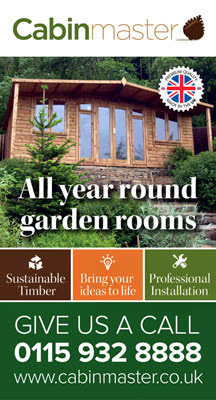 "I would estimate the entire build as coming in at below £2,500 - a real bargain for the perfect garden office." 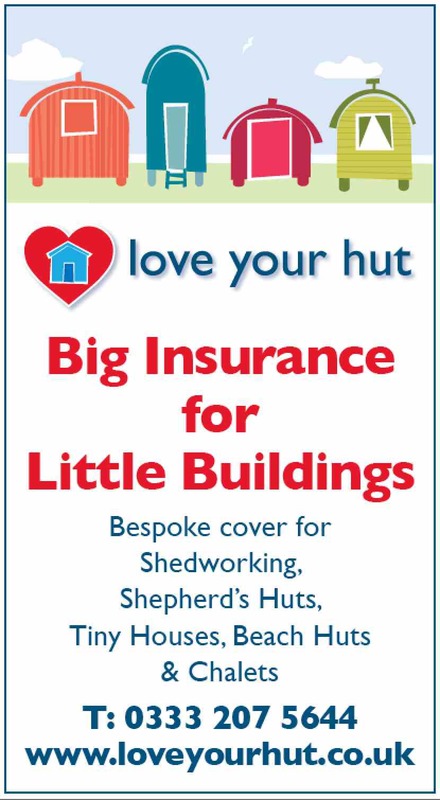 Thanks very much indeed for showing how you built your shed. It looks marvellous! I'll be in the market for doing something similar in a couple of months, and I think I may be copying what you've done! Can you tell me if it's all living up to your expectations, in terms of whether you think it really will be a year round solution (which is what my office will have to be)? I think the art in building any structure be it a garden office or a room for the mother in law to sleep in, is the quality of the build. 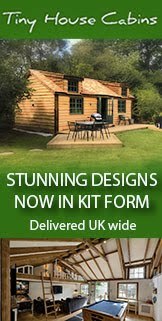 With money being scarce, i think our Twin Skin log cabins save a lot of time, and money, plus as we were the first to design also manufacture them, and put them into the UK market, i feel we thats ( www.logcabins.lv ) know what we are talking about. 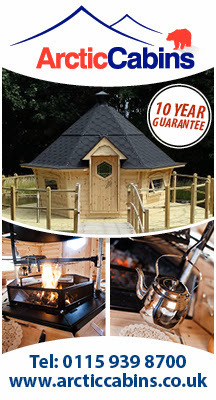 For an insulated office www.logcabins.lv has all your needs. I'd replace the windows and door with UPVC ones, probably bought second hand off ebay, because I reckon the supplied windows are going to let in a lot of cold. Apart from that, a job well done. A great article with some truly top information and wonderful photos, but I would have to ask about the price for all this work? 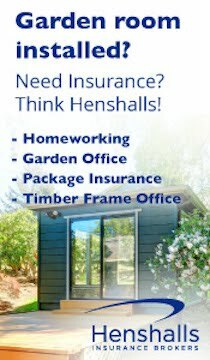 The only reason I ask if this worth the price and time spent is because you can get timber workshops for under £500, then you simply need to do the extra work inside to make it more office friendly like installing your wiring etc and an alarm and security camera and your pretty much done for a lot under £2500! Sadly that kit looks totally different now - no weather/wind break at the sides under the awning.